I think the way I travel has just been permanently altered. I have discovered Noise-Canceling Headphones! To be fair, this is my first pair of noise canceling headphones, so I can’t compare them to any others, but I can compare them to regular headphones… and they are heads and shoulders above any others I’ve had! My journey to this remarkable product was simple. First, I started with regular in-ear buds for my iPod Listening needs. You know, the cheap ones. Some of them are pretty good. Personally, for more basic earphones, I am a fan of SkullCandy Earbuds – they are not too expensive; they have good sound quality; and they come in a number of different colors & styles, so you can pick the ones that suit your own personal style. I’ve even got a pair of wood ones, that I’m quite fond of. Then, I decided to upgrade to sound-isolating headphones, and splurged on a nice pair of Shure ones. 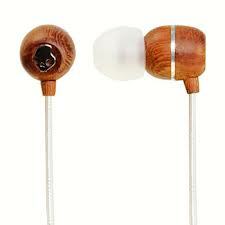 They are great, and isolate sound by creating a tighter seal in your ear, and a good fit. The ones I have are designed with a sort of a squishable earplug-style cover for the audio output that expands in your ear and seals out a lot of noise. They are good, but, what I didn’t even realize until I tried the noise-canceling ones, is that you can still hear the engine noise. I was on a trip from South Africa back to the US, when I ran into my friend C in the waiting area for a flight in Amsterdam. C was an earlier-adopter of the noise-cancellation headphones. When we were on our flight back home, she had me put her Bose On-Ear headphones… and they seemed good. Then she flipped the switch to turn on the active noise cancellation. And WOW!! It was like she made the plane disappear! Now, the on-ear model is great, and definitely works, but I was hesitant about getting something so large to add to my “must pack” items, so I decided to look into the in-ear models that I could find. 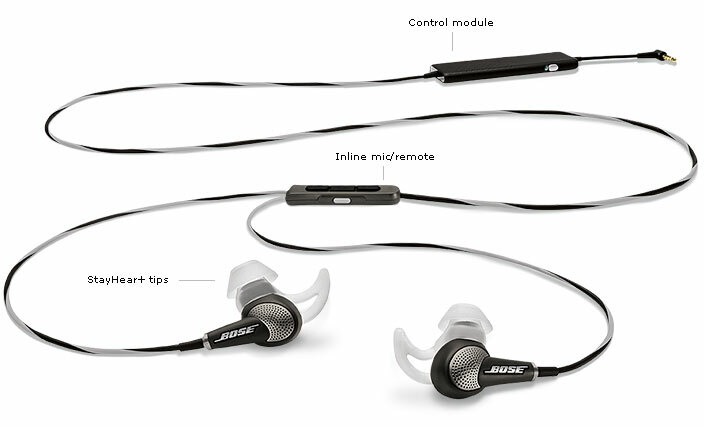 After reading many reviews I settled on the Bose In-Ear Noise Canceling headphones, as Bose seems to be the leader in the technology. I had to read a bunch to be convinced, because they were on the high-end of the price range. I ordered my pair from Amazon.com, and paid $299, with free shipping. Now that I have used them in flight I can say this with certainty: They were worth every single penny! One thing that I have realized about myself is that some noises – like the fan in a kitchen or bathroom – cause me some level of stress. I am a little bit more tense when the hood fan over my stove is on. I relax slightly as soon as it is turned off. Now, I have been flying internationally my whole life, having taken my first trans-atlantic flight at 4 weeks old. I never realized how much the engine noise on a plane adds stress to the ride for me until I found these headphones that could totally eliminate it. Very nice!! I put on some soothing music, popped in these headphones and slept better than I have on a plane for a very long time! Another feature about these headphones that I really like is that there is an “aware” mode, which allows you to hear things like announcements or voices around you. That’s great when you’re walking around in a city, when it could be dangerous if you don’t hear, say, an approaching car or truck. Or you can turn them off, and still hear music – they just work like regular headphones then. That’s another useful feature because if the battery dies in them, you can still use them. And since I’m not used to having to think about charging my headphones, there’s a chance that I could forget to charge them! Plus, you can use the buttons on the mic/remote to switch between phone calls and music on an Android or iPhone (there’s a different model for the each operating system). Actually the fact that you have to charge them is probably the only negative about these headphones. But if you want active noise cancellation, and you don’t want the hassle of having to carry batteries with you in case they die, a rechargeable battery is helpful, so I guess it cuts both ways. Bottom line? This travelling chitalian wholeheartedly recommends this product!! It’s a high price tag for a pair of earphones, but totally worth it. If you can afford it, go out and buy a pair before your next flight! And then relax during the ride. If you travel as much as I do (PS, I’m in Cameroon for the 3rd time in as many years as I write this!) these will make a great impact on how much you enjoy your time in the air! PS – If you want to learn more about noise/sound-isolating headphones vs. noise cancellation headphones, read this.